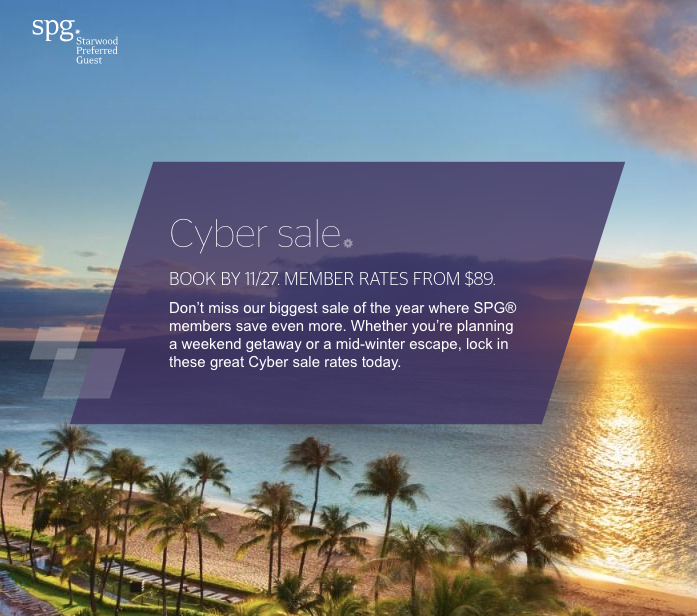 Starwood launched their highly anticipated Cyber Weekend Sale today! 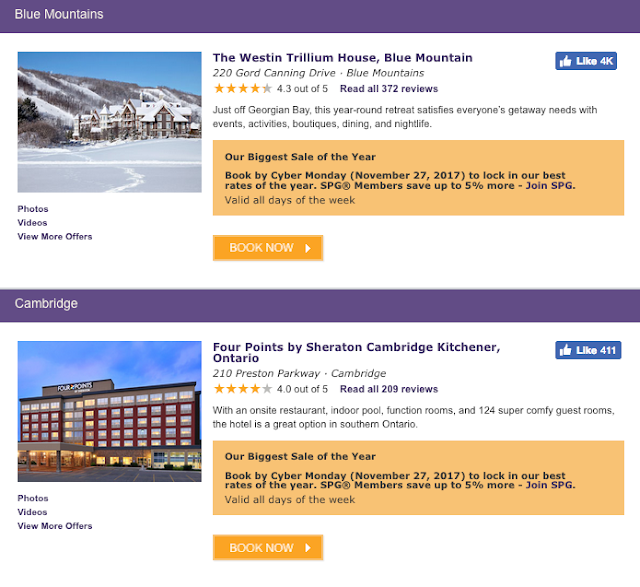 Rates start as low as $89 for stays at participating Starwood Hotels in the Canada, the U.S., Latin America and South America. Cyber Weekend Sale! Book a room worldwide at Starwood Hotels starting from $89 per night!